For Alice G. Chapman, "...her life and her resources were a trust to be used for others, and she experienced the keenest enjoyment in exercising this trust." These words were written by Lucia Briggs, President of Milwaukee-Downer College, for the 1937 dedication of Chapman Memorial Library, now known as UWM's Chapman Hall. They honor Alice G. Chapman (1853-1935), whose generous lifetime giving and $1 million bequest enabled the College to build an unrestricted endowment, to enhance its art collection, to endow faculty positions, and to erect the Chapman Memorial Library. 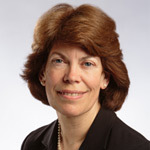 Alice Chapman grew up in Milwaukee, attended Milwaukee Female College (a predecessor institution of Milwaukee-Downer), and served on Milwaukee-Downer's Board of Trustees. Her father, T.A. Chapman, founded a dry goods store in Milwaukee in 1857, and "Chapman's" remained a well-known local retailer until the 1980s. Our Chapman Hall cornerstone contains a photo of Alice and a copy of her will. 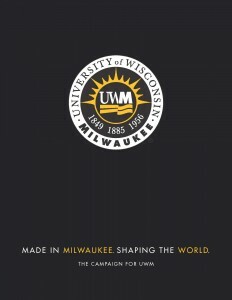 Chapman Hall became a part of UWM in 1964, when UWM acquired the Milwaukee-Downer College campus. A graceful centerpiece for the Kenwood Campus, it symbolizes educational excellence and leadership for UWM, and now houses the Office of the Chancellor. In 2001, UWM established the Alice G. Chapman Society to recognize alumni and friends whose passionate support for UWM extends to including UWM in their estate planning. As did Lucia Briggs, we "remember with reverence and gratitude the wise and generous friend whose great gift, a climax to years of generous and helpful giving, has made this building possible." Today's Alice G. Chapman Society includes hundreds of members whose planned gifts will enhance UWM's mission for years to come. Member benefits include an annual appreciation event and campus update by university leaders, planned this year for mid-April. Members also receive ticket vouchers with parking privileges for campus performances. Confirming your gift intentions and joining the Alice G. Chapman Society permits UWM to express its gratitude to you during your lifetime, and helps UWM plan for the future. For more information on how you can become a member, contact Gretchen E. Miller, J.D., Director, Gift Planning and Agreements in UWM's Office for Development & Alumni Relations, at (414) 229-3067. Thanks to UWM Libraries, Archives Department, for the material for this article. A charitable bequest is one or two sentences in your will or living trust that leave to the UWM Foundation a specific item, an amount of money, a gift contingent upon certain events or a percentage of your estate. "I give ($___)(___% of my estate) to the UWM Foundation, Inc., a not-for-profit corporation with its principal office in Milwaukee, Wisconsin, for the benefit of the University of Wisconsin - Milwaukee, (as an unrestricted gift) (to be used in support of....)." A donor advised fund is an account that you set up but which is managed by a nonprofit organization. You contribute to the account, which grows tax-free. You can recommend how much (and how often) you want to distribute money from that fund to the UWM Foundation or other charities. You cannot direct the gifts. You fund this type of trust with cash or appreciated assets—and may qualify for a federal income tax charitable deduction when you itemize. You can also make additional gifts; each one also qualifies for a tax deduction. The trust pays you, each year, a variable amount based on a fixed percentage of the fair market value of the trust assets. When the trust terminates, the remaining principal goes to the UWM Foundation as a lump sum. You fund this trust with cash or appreciated assets—and may qualify for a federal income tax charitable deduction when you itemize. Each year the trust pays you or another named individual the same dollar amount you choose at the start. When the trust terminates, the remaining principal goes to the UWM Foundation as a lump sum. A charitable gift annuity involves a simple contract between you and the UWM Foundation where you agree to make a gift to the UWM Foundation and we, in return, agree to pay you (and someone else, if you choose) a fixed amount each year for the rest of your life.